ConferenceSeries Ltd is a renowned organization that organizes highly notable Conferences throughout the globe. Currently we are bringing forth “World Congress on Biotherapeutics and Bioanalytical Techniques” (Biotherapeutics 2017) scheduled to be held during September 11-13, 2017 at Dallas, USA. The conference invites all the participants across the globe to attend and share their insights and convey recent developments in the field of Biotherapeutics. ConferenceSeries Ltd organizes a conference series of 1000+ Global Events inclusive of 1000+ Conferences, 1000+ Upcoming and Previous Symposiums and Workshops in USA, Europe & Asia with support from 1000 more scientific societies and publishes 700+ Open access Journals which contains over 50000 eminent personalities, reputed scientists as editorial board members. Biotherapeutics usually refers to therapeutic materials produced using biological means, including recombinant DNA technology. Biotherapeutics are basically agents, used to treat and avoid human disease by interrelating with the microbial ecology of the host. Biotherapeutics have the ability to target specific molecules within the human body, and have a good track record with patient safety. Manufacturing biotherapeutics is complex, as they are larger compounds in both size and structure, and can be sensitive to environmental conditions. Additionally, Biotherapeutic manufacturing includes many regulations such as signal processing, biology and engineering process control. Moreover, they require sophisticated production and control processes and are dependent upon the host cells of living organisms to produce the necessary active pharmaceutical substances. Synthetic immunology including the development and regeneration of immune cells, immune organ development and artificial regeneration, and the synthetic approach towards understanding human immune system. Immune cell therapy involves engineering or isolating cancer-fighting immune cells (T cells), growing large numbers of these cells in the laboratory and then infusing them back into patients. MicroRNAs (miRNAs) are a class of small (18–24 nucleotide long) RNAs that are involved in regulation of gene expression by targeting messenger RNAs (mRNA). Deregulation of miRNAs has been reported in many human diseases such as cancer, cardiovascular disease and autoimmune disorders. Since miRNAs can be efficiently inhibited by modified/synthetic antisense oligonucleotides, there is great interest in developing anti-miRNA therapies for several diseases. In addition to tissues/cells, miRNAs were also detected in various biofluids such as serum/plasma, urine, saliva, cerebrospinal fluid and amniotic fluid. Usually miRNAs present in biofluids are packed in exosomes or associated to proteins or lipoproteins and hence protected from enzymatic degradation. Because of their stability and specificity, several studies demonstrated the utility of circulating miRNAs as diagnostic and prognostic biomarkers in disease such as cancer, cardiac disease and autoimmune disease. More recently, microRNAs have been investigated as potential safety biomarkers. Thus miRNAs received much attention not only as global intracellular and intercellular regulators but also as therapeutic targets and disease or safety biomarkers. Hence there is great interest in miRNA identification and profiling. Oncolytic Virotherapy is the experimental treatment of cancer patients based on the administration of replication-competent viruses that selectively destroy tumor cells but leave healthy tissue unaffected. Virotherapy is a safe and effective cancer treatment. It improves time to progression, survival and quality of life for cancer patients. Virotherapy is particularly important in the treatment of those cancers types, which are insensitive to radiotherapy or chemotherapy, for example, melanoma. Oncolytic viruses refer to those viruses that are able to eliminate malignancies by direct targeting and lysis (killing) of cancer cells within the tumor, leaving non-cancerous cells unharmed. Oncolytic viruses by definition have a natural attraction to cancer cells (tropism), though their safety profile in patients, selectivity and replication competence vary significantly by type and strain of virus. Immunopharmacotherapy is the treatment or prevention of disease by taking measures to increase immune system functioning (as by the administration of antibodies or hypo sensitization). Immune cell therapy involves engineering or isolating cancer-fighting immune cells (T cells), growing large numbers of these cells in the laboratory and then infusing them back into patients. Immune cells are naturally present in most tumors, but usually have been deactivated by the cancer or simply lack the numbers to eradicate the cancer on their own. Innovative Therapies includes correcting a defective gene, inserting a gene-drug, grafting cells capable of regenerating healthy tissue. In patients with rare, severe immune-mediated inflammatory diseases (IMIDs), biologics are often the last treatment option when standard therapy with classical immunosuppressive drugs fails. However, clear guidelines on biologic prescription in these diseases are often lacking. A major reason is that proper randomized controlled trials (RCTs) are difficult to design due to the low prevalence, heterogeneity of patients, and the severe medical condition of patients. Since RCTs are usually required for registration of therapy for a specific disease, physicians often prescribe biologics off-label in these diseases. Off-label prescription can be defined as the prescription of a drug for conditions other than current registered indications. This means that the drug is approved by either FDA or EMA for a certain disease, yet there is no definitive proof for the efficacy of the specific drug for other conditions. The physician’s decision to prescribe off-label in such cases is often based on the pathophysiology of the disease or shared symptoms with other diseases in which the biologic has proven to be effective. This is called rational prescription and may lead to innovative treatment options, especially in rare diseases. Stem cell therapy, also known as regenerative medicine, promotes the reparative response of diseased, dysfunctional or injured tissue using stem cells or their derivatives. It is the next chapter of organ transplantation and uses cells instead of donor organs, which are limited in supply. Stem cells have the power to go to these damaged areas and regenerate new cells and tissues by performing a repair and a renewal process, restoring functionality. Regenerative medicine has the potential to provide a cure to failing or impaired tissues. Cancer biotherapeutics encompasses all biologically derived materials that have been processed or engineered to treat cancer, including cancer-killing viruses, immune cell therapies and antibody therapies. All of these therapies have mechanisms that enlist the immune system (immunotherapeutic), are highly promising and targeted, and are the subject of much excitement in research. In contrast to conventional therapies, biotherapeutics for cancer treatment are not based on man-made chemicals that flood the system with toxins. Biotherapeutics are designed to specifically target cancer cells without harming healthy cells, which results in greater effectiveness and fewer, less severe, side effects. Even in early phase clinical trials, biotherapeutics have provided complete remission for a number of patients who had run out of treatment options. Clinical Biotherapeutic aspects including study design, drug-drug interactions, QT assessment, immunogenicity, comparability, special populations (hepatic and liver failure), PK and PD, regulatory expectations of PK and PD characterization, as well as reviewing factors which influence the ADME of Biotherapeutics. The objectives of early clinical development of therapeutic proteins are the same as for small molecules i.e. to investigate the molecule in a manner that will gain necessary knowledge about its tolerability safety pharmacokinetics (PK) and if possible pharmacodynamics (PD) effects in the most appropriate human populations while simultaneously protecting their safety. However, there are specific features of proteins that must be considered when designing clinical pharmacology studies. Biotherapy is the treatment to stimulate or restore the ability of the immune (defence) system to fight infection and disease. Biological therapies, sometimes called biotherapy, immunotherapy or biological response modifier therapy, is designed to repair, stimulate, or enhance your body’s own immune responses. Biological therapy is thus any form of treatment that uses the body's natural abilities that constitute the immune system to fight infection and disease or to protect the body from some of the side effects of treatment. Biotherapy often employs substances called Biological response modifiers (BRMs). The body normally produces low levels of BRMs in response to infection and disease. Large amounts of BRMs can be made in the laboratory to treat cancer, rheumatoid arthritis, and other diseases. Analytical biotherapeutics include identity by microbiological characterization of the strain, purity (monosepsis), strength by determination of viability, development of cell based potency assays. This also includes advanced characterization technologies for a range of complex therapeutic proteins to provide complete understanding of the product, to ensure safety and efficacy, and to facilitate smooth and efficient interaction with the regulatory authorities. Analytical Biotherapeutics mainly focuses on assay and validation methods, hot spots identification, post-translational modifications, impurities, critical quality attributes formulation and stability. For the discovery of drug process disease target identification/validation, generation of highly potent compounds targeting proteins, pharmacokinetics and drug metabolism each of these steps produces a large volume of samples that require rapid and accurate analysis. Similarly Mass spectrometry (MS) has become the method of choice in structural characterization of small molecules and proteins it not only measures the Molecular Weight (MW) of compound, but also provides structural information by fragmentation studies via tandem MS/MS. The development of Electrospray Ionization (ESI), matrix-assisted laser desorption/ionization (MALDI) or soft ionization and ambient MS has further augmented the role of MS in the studies of small molecules and proteins. With the advent of newer drug molecules either partially synthesized, totally synthesized or isolated from naturally occurring microbial and plant products—it has become absolutely necessary to ascertain and examine critically their physical characteristics, chemical equivalence, chemical impurities and their prescribed limits, degradation of products, metabolites and above all their biological features. The dosage forms having either single or multi-component formulated product. The fundamental reasons for this sudden legitimate is to ‘analysis of drug substances’ are perhaps due to the tremendous growth in the progress of ‘medicinal chemistry’ towards achieving one ultimate objective which is to obtain ‘better drugs for a better world. Forensic labs are often called in to identify unknown powders, liquids and pills that may be illicit drugs. There are basically two categories of forensic tests used to analyse drugs and other unknown substances: Presumptive tests (such as colour tests) give only an indication of which type of substance is present but they can't specifically identify the substance. Confirmatory tests (such as gas chromatography/mass spectrometry) are more specific and can determine the precise identity of the substance. Metabolism was previously known as ‘detoxication’ mechanism in the body. It is the mechanism of elimination of foreign and undesirable compounds from the body and control the level of desirable compounds such as vitamins in the body. Metabolism of the drug plays significant role in selection and characterisation of drugs. The major site of metabolism in the body is Liver. The development of the Bioanalytical Techniques brought a progressive discipline for which the future holds many exciting opportunities to further improvement. The main impact of bioanalysis in the pharmaceutical industry is to obtain a quantitative measure of the drug and its metabolites. The purpose is to perform the pharmacokinetics, toxicokinetics, bioequivalence and exposure response like pharmacokinetic / pharmacodynamic studies. Various bioanalytical techniques are performed in bioanalytical studies such as hyphenated techniques, chromatographic techniques, and ligand binding assays. 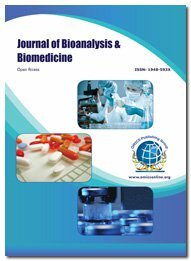 This review extensively highlights the role of bioanalytical techniques and hyphenated instruments in assessing the bioanalysis of the drugs. Some techniques commonly used in bioanalytical studies include. A method of separating and analysing mixtures of chemicals through various processes of chemical analysis in which the constituents of a mixture are separated into distinct bands or spots on an adsorbent material. There are two main categories of chromatography: preparative and analytical. Analytical work uses small sample sizes; the objective is to separate compounds in order to identify them. Preparative work uses large quantities of samples and collects the output in bulk; the point of the chromatography here is to remove impurities from a commercial product. Peptide and protein therapeutics represent an increasingly significant category of biologics used to treat illnesses such as cancer, autoimmune, neurological, and endocrine disorders. Their high target specificity generally makes them a more effective and safer choice of treatment than small-molecule drugs. Currently, there are more than 200 approved therapeutic proteins and over 100 peptides on the market; this figure accounts for 10% of the pharmaceutical market at a value of $40 billion per year (1, 2). With hundreds of protein and peptide drugs in clinical trials and many more in preclinical development. Protein and peptide therapeutics have much higher molecular weights (MWs) than small-molecule drugs, which hinders their absorption through epithelial cells. An effective delivery system is fundamental to enable proteins and peptides to overcome their inherent structural instability, diffuse across physical barriers, and achieve the desired In addition, peptide stapling has shown advantages in increasing a peptide’s stability, cellular penetration, and binding affinity by locking the conformation of the peptide through multiple, synthetic, hydrocarbon backbones. ConferenceSeries Ltd is a renowned organization that organizes highly notable conferences throughout the globe. Currently we are bringing forth “World Congress on Biotherapeutics” (Biotherapeutics 2017) scheduled to be held during September 11-13, 2017 at Dallas, USA. The conference invites all the participants across the globe to attend and share their insights and convey recent developments in the field of Biotherapeutics. Biotherapeutics 2017 Organizing Committee takes immense pleasure to invite you all to be a part of this meeting which will focus on current trends and emerging issues in Biotherapeutics and Bioanalytical Techniques. Conference Series LLC Conferences desideratum is to render an intriguing forum and vibrant opportunity for researchers to share their original research results and practical experiences, at the same time absorb knowledge from works being done around the nooks of world. 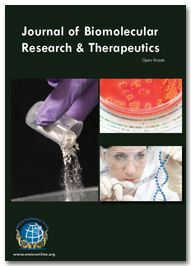 Apart from researchers, professors, biopharmaceutical industry practitioners, private and public investors, and students are also most welcome to get themselves inbuilt to the rays of novel happenings on Biotherapeutics and Bioanalytical Techniques around the globe. The whole concept of this advanced technology is to agenized from past, analyze the present and implement for the future the latest innovative evolving theories and technologies to surpass the hurdles and make modish frontiers. This will be the best event for academicians, researchers and interested parties to discuss proposals and most sound issues related to Biotherapeutics and Bioanalytical Techniques like Chromatographic Techniques, Advancements in Biotherapeutics, MicroRNAs (miRNAs) Biotherapeutics etc. Biotherapeutic products derived from recombinant DNA technology such as interferons, interleukins, and growth factors have provided a major advance in the safety and effectiveness of therapeutic peptides and proteins, and they have a successful record in treating many life-threatening and chronic diseases. Since contamination with unwanted pathogens can be greatly reduced and production volumes are expanded by the developed biotechnology, many more patients have increased access to biotherapeutic products. Dallas is a major city in the state of Texas and is the largest urban centre of the fourth most populous metropolitan area in the United States. The city proper ranks ninth in the U.S. and third in Texas after Houston and San Antonio. Dallas' skyline contains several buildings over 700 feet (210 m) in height. There are a whole host of exciting things to get your teeth into, as well as the classic ranch way of life. Soak up Dallas' sporting achievements with a tour of the Ameriquest Field, or if you can, grab some nachos and watch a game. Don't miss the Dallas World Aquarium, home a multitude of sharks, stingrays, and hundreds of reef fish. Visit some of the best golf courses in America while you're here, and head to tour 18 Dallas to play on courses that replicate some of the most challenging and stimulating in the States. So head to Gilley's Dallas where you can ride a mechanical bull, try a spot of line dancing, and listen to some good old country music. Escape the heat of the city in the Dallas Arboretum, where you'll find 66 acres of trees, botany, and shady spaces to unwind and relax. Dallas has many hospitals and a number of medical research facilities within its city limits. One major research center is the Dallas Medical District with the UT South-western Medical Center. The University of North Texas Health Science Center, commonly known as the UNT Health Science Center is a graduate-level institution. To gain insight into the experiences of others who face challenges similar to yours. Nutritional Immunology and Molecular Medicine Laboratory (NIMML). The demand for biotherapeutics has witnessed a significant rise to the increasing prevalence of chronic diseases such as diabetes, rheumatoid arthritis, cancer, and multiple sclerosis. This growth in the demand for biotherapeutics, together with the imminent launch of several biopharmaceutical drugs, has created a substantial demand for cell line development. However, unmet medical needs in emerging economies of Asia Pacific, Latin America, and Africa, is expected to provide lucrative opportunities for market players over the next few years. The global market for is estimated to with the opportunity in biotherapeutics cell line development will rise from US$56 mn in 2014 to nearly US$100 mn by 2022, rising at a CAGR of 7.50% between 2015 and 2022. North America has acquired the leading position in the worldwide market for biotherapeutics cell line development. In 2014, the opportunity in this region stood at US$23.5 mn, which is likely to increase to US$41 mn by the end of 2022. Europe, which emerged second in this market in 2014, is expected to report steady growth in the near future. The future of cell line development in biotherapeutics, however, lies in Asia Pacific, which stood at third position in 2014. The potential that this region holds can be understood by the fact that Asia Pacific is expected to register the fastest CAGR of 9.40% during the forecast period. The unmet medical needs and the increasing investments by major pharma companies is projected to amplify the development of biotherapeutics cell line in this region. Conference Series LLC organized 6th International Conference and Exhibition on Analytical & Bioanalytical Techniques during September 01-03, 2015 Valencia, Spain that got brilliant response. Eminent Scientists, researchers, business professionals and scholar students were participated during this prestigious conference. With the support and steerage of Organizing Committee Members, Editorial Board Members and amaze displays of all participants this outstanding summit became additional spectacular. The theme of the conference “Review of Advancements and therefore the Impacts of the Analytical & Bioanalytical Techniques” was dilated across the world by speeches from the participants and with boost of media partners and collaborators. Analytica 2015 Organizing Committee would like to thank the Moderator of the conference, Dr. Khondaker Miraz Rahman, king’s college of London and Transcriptogen Limited, UK, chair and co-chair of the conference and all other attendees who contributed a lot for the smooth functioning of the event. Conference Series LLC on behalf of the conference, congratulates the Best Poster awardees for their outstanding performance in the field of Analytical & Bioanalytical Techniques and appreciates all the participants who put their efforts in poster presentations and sincerely wishes them success in future endeavours. We would like to thank the Poster Competition Judge Dr. Aly MOUSSA, Anses Lyon Laboratory, France for his valuable time. World Congress on Biotherapeutics scheduled during May 22-23, 2017 at Mexico, USA with a theme of "Empowering Innovation with Right Tools and Techniques". 5th International Conference and Exhibition on Analytical and Bioanalytical Techniques at DoubleTree by Hilton Beijing, China during August 18-20, 2014 was organized with a focus on Critical Review on Recent Developments in Analytical & Bioanalytical Techniques was a great success where eminent keynote speakers from various reputed institutions made their resplendent presence and addressed the gathering. Analytica Acta-2014 witnessed an amalgamation of peerless speakers who enlightened the crowd with their knowledge and confabulated on various newfangled topics related to the field of Analytical & Bioanalytical sciences. Analytica Acta-2014 Organizing Committee would like to thank the Moderator of the conference, Dr. Celina Nazareth, PES’s Rajaram and Tarabai Bandekar College of Pharmacy, India who contributed a lot for the smooth functioning of this event. OMICS Group, on behalf of the conference, congratulates the Best Poster awardees for their outstanding performance in the field of Analytical & Bioanalytical Sciences and appreciates all the participants who put their efforts in poster presentations and sincerely wishes them success in future endeavours. We would like to thank the Poster Competition Judge Dr. Andrew C. Benniston, Newcastle University, UK for his valuable time. OMICS Group also took the privilege of felicitating Analytica Acta-2014 Organizing Committee, Editorial Board Members of Journal of Analytical & Bioanalytical Techniques,Journal of Chromatography & Separation Techniques and Pharmaceutica Analytica Acta, Keynote Speakers, Chair and Co-Chairs and Moderator whose support made conference a great success. With the enormous feedback from the participants and supporters of Analytica Acta-2014, OMICS Group Conferences is glad to announce its 6th International Conference and Exhibition on Analytical and Bioanalytical Techniques (Analytica-2015) from Sep 1-3, 2015 at Valencia, Spain.